Pittsburgh, PA — There are few better times of the year than the beginning of college basketball season and now that play has begun, so can the analysis. Keeping that in mind, here are the top five Atlantic 10 performances of the week and no Davidson as a team for its 26-53 performance on its 3-point shots in addition to a 29:1 assist-turnover ratio does not count. 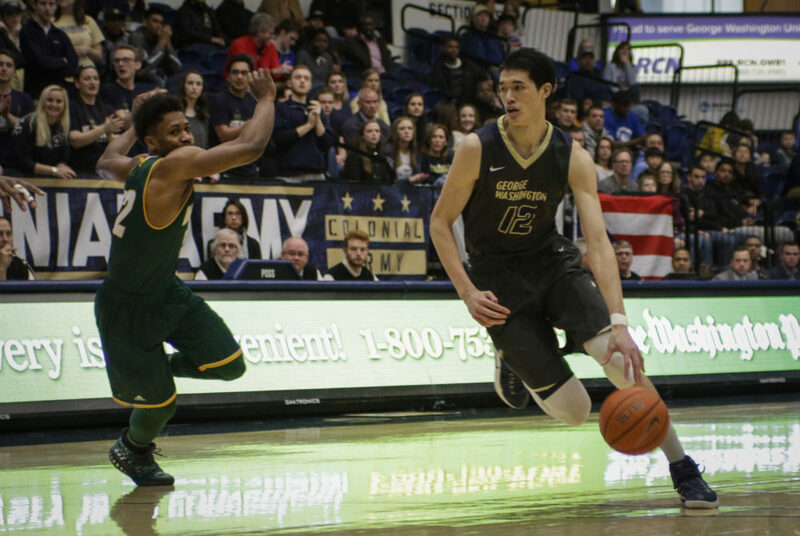 Yuta Watanabe, George Washington– Yes there were people who scored more points and grabbed more rebounds, but nobody had a more complete performance than this man. All he did was score 19 points, grab 11 rebounds and record seven blocks. That is a complete performance in all aspects. He also added three assists compared to one turnover while playing all 40 minutes. Watanabe gave his team everything in a win over Howard. He showed that he is capable of scoring, continues to defend well and has that sense of urgency you look for in a leader. Jaire Grayer, George Mason– Some will criticize the Atlantic 10 for losing some competitive contests, but my response will be two words, Jaire Grayer. Grayer recorded a double-double with 20 points and 10 rebounds against #16 Louisville. George Mason showed the country that it should be taken seriously and for a good while, this looked to be an upset. Grayer made a career-high five 3-point shots, saving these efforts to be seen on the national level. This performance backed up a 17 point, 9 rebound opening game effort against Lafayette. Josh Cunningham, Dayton– Cunningham will be a key on this Dayton team and his 22 point/7 rebound performance was very important in a close victory. Cunningham’s buzzer beater gave the Flyers a 78-77 victory over Ball State. Cunningham missed most of last season so in a sense this is his first impression for a lot of A-10 fans. He has not squandered it yet. Jon Axel Gudmundsson, Davidson– So many people are unaware of what JAG can do because of teammates he has, but his near triple-double was a site to see. Gudmundsson was 7-10 from the field scoring 24 points, grabbing nine rebounds and adding eight assists with no turnovers. If this type of effort continues, JAG will not be flying under anyone’s radar. Justin Tillman, VCU– Tillman is coming off a foot injury and his minutes were limited, but he showed no effects with with 14 point/10 rebound performance in just 17 minutes of play. With how VCU played, there was no need to push Tillman any more than that. Even with a smaller amount of playing time, Tillman makes this list. Matt Mobley, St. Bonaventure- I know what you are thinking, how does someone who had 29 points and nine rebounds not make the list? I already can hear Bona fans coming down on me about slighting Mobley, especially with Jaylen Adams out injured. The answer is simple it comes down to the effort it took to get the points. To score 29 points, Mobley needed 20 shots and 15 free throws to get there. That is a 35% shooting clip. Also, if you look at each of the above players, each of their teams won and St. Bonaventure fell by two to Niagara. BJ Johnson, La Salle– The effort is certainly there with 15 points and 11 rebounds but no assists compared to four turnovers really held me back. Not to mention Pookie Powell may have washed away some of Johnson’s performance with 18 points and five rebounds at the guard position. Eric Williams, Duquesne– He had to play out of position by necessity and had a 17 point-12 rebound performance coming off the bench. Most of this performance was second half driven. He still needs to show better range to make the top half, but he did enough to warrant consideration. Malik Hines, UMass-This is another double-double (11 points/13 rebounds) that did not make the top five. UMass did lose in overtime and a couple of big shots made the performance not as memorable, but it was still a great individual effort. Javon Bess, Saint Louis– Bess recorded 17 points and added eight rebounds in a win over Seattle. Some of the performance was aided by a 9-11 effort from the foul line, but he had two positive statistics which deserved some respect. Rene Castro-Cannedy of the Duquesne Dukes had a strong effort in the opener vs Brooklyn’s St. Francis: effective mature leadership from the point along with his 22 points. What was your thinking on choosing to leave his effort outside of the Honor Roll in this first week?